20th Century Fox project “The Empty Man” is about to begin filming in Chicago and are now casting. Casting directors in the Chicago are seeking locals to fill a variety of small roles. The movie production will be needing stand-ins, photo doubles, pedestrians (with and without cars), kids, reporters, police officers, fire fighters and paramedics and are especially interested in finding first responders in Madison, IL area who would like to work as paid extras on the movie. While not much is known about the plot of the movie, in the original graphic novel, a terrifying, supernatural entity is suspected to be responsible for a string of mysterious disappearances in a small midwestern town. The story centers on a troubled ex-cop who battles to find a missing girl, but discovers a sinister presence all around him. 4 Star Casting is happy to announce that we will be casting the extras for the Chicago and Madison, IL portion of the film, The Empty Man. 1) Put ALLISON PHOTO DOUBLE in the subject line. 3) Please send us RECENT candid photos, close up, back of your head and full body. Make sure your photos represent your current look i.e. facial hair and hairstyle. Make sure their is nothing blocking your face. 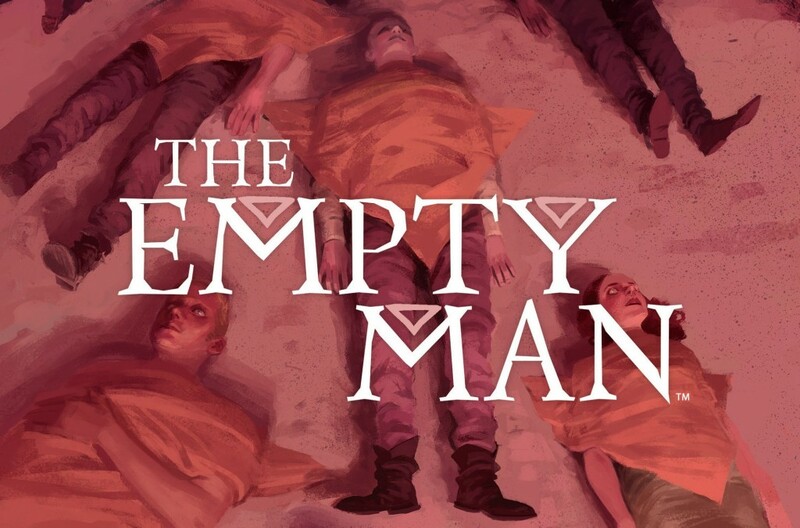 4) Confirm that you have filled out The Empty Man survey (linked below). If you have already filled it out you do not need to do so a 2nd time. 5) Confirm you have transportation to the location. 6) You may need to drive in the scene, please confirm that you have current, valid drivers license and auto insurance. We will be looking for stand-ins, photo doubles, pedestrians (with and without cars), kids, reporters, police officers, fire fighters and paramedics (specifically looking for first responders in Madison, IL area). The Chicago shoot dates are Friday, 12/2, Sunday, 12/4, Monday, 12/5 and the Madison, IL shoot date is Wednesday, 12/7. Rate: $84/8 (+ $25 if a first responder who provides uniform and/or gear). We have created a separate survey for the film because of its specific needs, and locations. 1) Subject line should read Chicago, Madison or Chicago/Madison (if you want to be considered for either location). Men: Jacket, Neck/Sleeve, Pants (waist/inseam) and Shoes. Women: Bust (cup size)/Waist/Hips, Dress, Pants and Shoes. 3) If you have a vehicle, please list the make, model, year and color. 5) Attach 2 candid photos – close-up and full length. Please rename each photo with your first and last name. We will be in touch if you are in consideration. Please see this page for the survey. See photos for reference – must match coloring and facial hair. NOTE – Please only submit if you fit all the clothing measurements! 1) Put GARRETT SI OR GARRET PD as the subject line. 2) List your full name, email address, zip code, phone number, height, and weight and measurements. We will need your jacket size, neck size, sleeve size, pants size (Waist/inseam), and shoe size. 3) Please send us RECENT candid photos, close up, full body, and back of head (so we can see your hairline). Please make sure your photos are taken in a well lit room. Make sure your photos represent your current look i.e. facial hair and hairstyle. 4) Confirm that you have open availability on 12/2, 12/4, 12/5 and 12/7 (Madison, IL for this last date). 5) We don’t know if you would be needed in Madison, IL or not yet because the schedule is still being worked out, but we need to know whether or not you would be able to get yourself to the location if needed. Therefore, please confirm your mode of transportation. If you do not have transportation to Madison, IL – would you still be willing to travel to the location if arrangements were made by production.